Where the Uncommon can thrive, escape from average student living and live more fully at Uncommon Oxford. 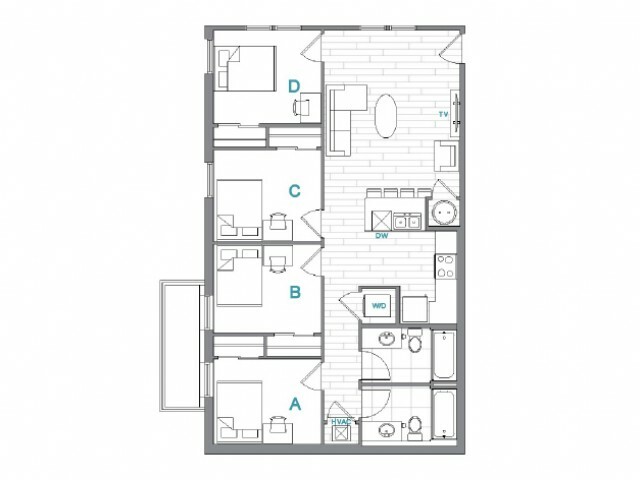 Vibrant two, three, and four bedroom floorplans give you the best of student convenience right on The Oxford Square. Experience the freedom to create in fully equipped kitchen packages with dishware/cookware, granite countertops, and stainless steel appliances. Come check out your new Uncommon home where you can lay back in front of the 50'' LED flat screen with sound bar. Check out the Uncommon lifestyle today!. All prices listed are by the bed per person.